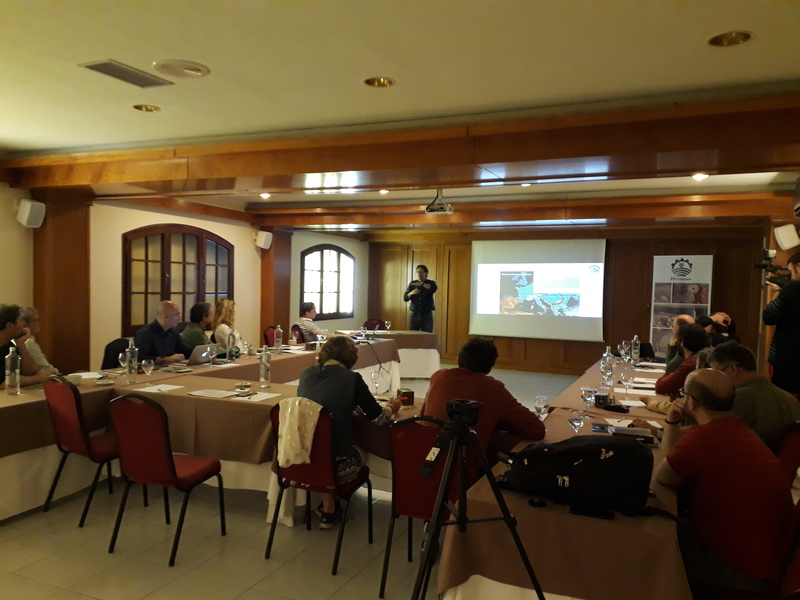 On the 15th and 16th of March 2018, a promo tour was organized by Volterra, Landlife and FGW in order to disseminate the great results obtained in the FTI Cocoon project within the H2020 programme. The tour counted with the presence of representatives of companies and NGOs from all over the world (Netherlands, Spain, Chile, Argentina, US). After pick-up at Barcelona airport a quick bustrip brought the group to Alcover. There the event started with an introduction of all participants and a first visit to the trial plot at the quarry mine. The group was received by the usual strong winds at the mine, located on top of a mountain. There participants could see that the trees survived the first year with no irrigation. The oaks & pines were planted in May last year which is a very unusual and challenging period. Past plantings to restore the area were always done in late December in order to take advantage of the winter rainfalls. The May plantation showed excellent results much to the surprise of the owner and participants. 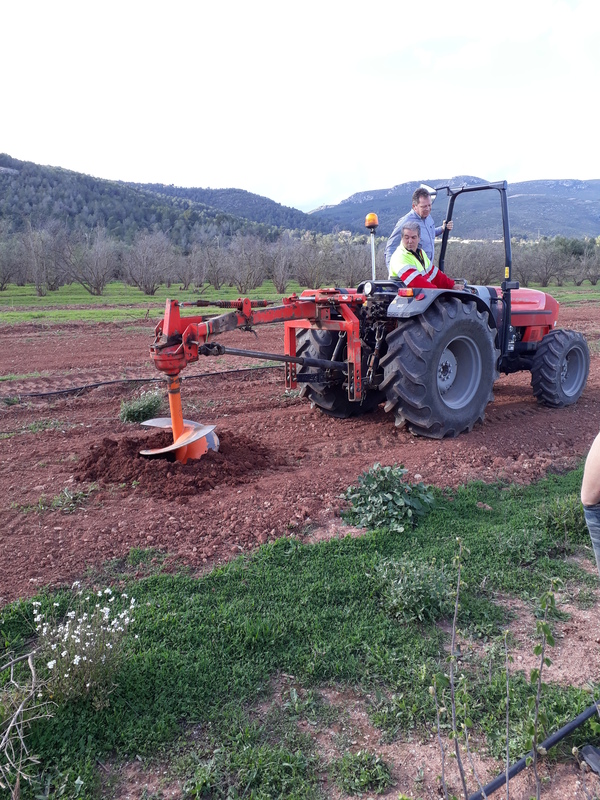 Two more fields were visited in the Alcover area: almonds and olives that were planted 3 years ago. After digging up one tree, the vast root growth and the complete biodegradation of the Cocoon could be witnessed. In addition, Landlife Company’s experts gave a complete lecture on how to best apply the Cocoon. All participants had the opportunity to dirty their hands and plant their own tree. At sunset a tapas bar at the center of Alcover hosted a relaxed catalan aperitivo, where everyone could share their impressions about the trial plots and the Cocoon technology. The day ended with nice dinner inside a former wine barrel at the San Felix restaurant. On Friday, the group started early with presentations by Landlife Company and their new approach towards a complete ecosystem restoration service, then followed by FGW and the improvements on the Cocoon manufacturing and biodegradability and finally a presentation from Volterra showing the replicability potential of using Cocoons to restore degraded lands in Spain. After a very fruitful exchange of ideas, all participants showed their own projects and how they could cooperate with each other. Finally, a former waste dumb was visited. This place hosts construction waste of the municipality and dozens of industries at the surroundings. It is a very compacted area with debris and rocks and covered with a tiny layer of soil, with almost no organic matter. The local government has tried many times to restore this area, but no tree survived the harsh soil conditions. Now, the trees planted with the new Cocoons showed excellent survival and growth already in the first year. The promo tour ended with a spectacular lunch at the Mas Rosich restaurant, where everyone learned how to eat a proper calçot and could taste delicious plates from the Catalan & Basque cousine. 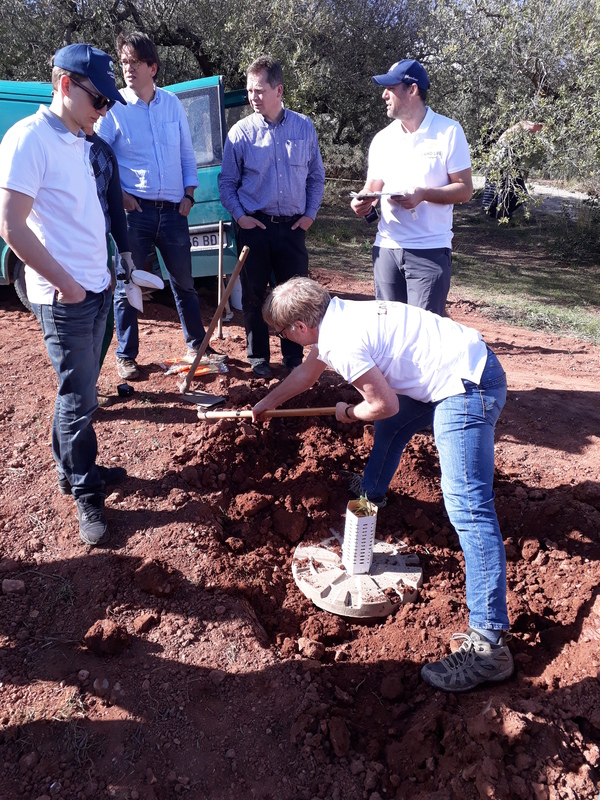 The teams of Volterra, Landlife Company and FGW will continue to explore further opportunities and market uptake, especially carbon offset related projects. This entry was posted in News and tagged Alcover, Cocoon, Dryland restoration, FGW, LLC, Mas Rosich, mine restoration, Promo Tour, Volterra. Bookmark the permalink.